New experience tonight – spinning with bandaids on my fingers. Fortunately, the wounds are on my right hand, which holds the fiber source. Not the left hand, which controls the pinch and twist process. 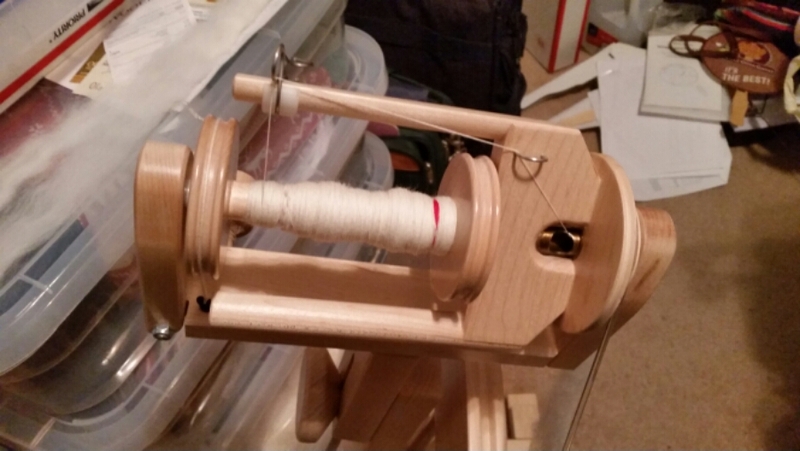 However, the little sticky edges of the bandaids caught the wool fibers just enough to make the spinning process a little problematic, so I only did about 20 minutes. These are not serious wounds, and should be fine by tomorrow. Until then.